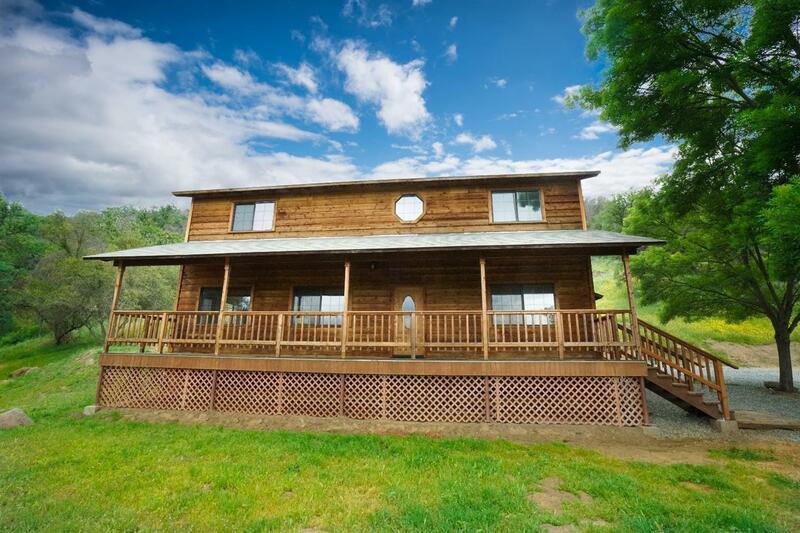 This 2 story, 4 bedroom, 3 bath remodeled mountain get-away on 10 fenced and gated acres is just minutes from downtown Springville! It is wood sided and has a full length front porch to take advantage of the insanely gorgeous views! The inside has just been remodeled, with new wood-look tile, and new carpeting throughout. The kitchen has handmade butcher block counters, a granite island and new lighting and flooring. The 3 bathrooms are very nice and even have granite top vanities! The master bedroom and one additional bedroom are downstairs which is always a plus, and there are views out every window. The property is breathtaking, with the house situated midway up the gently sloping 10 acres, with a great well and an undeveloped natural spring as well. The property is fenced and gated and ready for a family and lots of country fun!